Due out this Summer (hopefully by July) is my latest book: Christianity at the Crossroads: How the Second Century Shaped the Future of the Church (London: SPCK/IVP Academic, 2017). 1. It fits with my prior research. 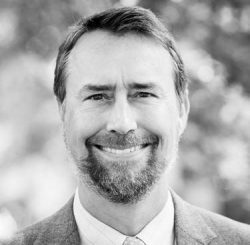 For those who are familiar with my earlier books and articles, it is evident that my primary areas of research – NT canon, apocryphal gospels, transmission of the NT text, the battles over heresy and orthodoxy – all seem to play out largely (or perhaps most critically) in the second century. So, this current volume is an extension of what I have already been doing. 2. There’s a gap in scholarship on the second century. Despite the importance of the second century for the development of early Christianity (more on this below), it has arguably received the least attention from modern scholars. Christianity in the first century, of course, has been extensively studied, primarily through the lens of the New Testament writings themselves, our earliest Christian texts. And the third and fourth centuries (and beyond) have generated quite a bit of scholarly attention because, by that time, Christianity’s presence and influence was on the rise. Second-century Christians were enduring a significant sociological transition (or a transition in their identity) as Judaism and Christianity were beginning to be viewed as largely distinct. Second-century Christians were facing a cultural-political transition as they encountered an ever-more-hostile Roman government who viewed their movement as a serious threat to the social and political stability of the empire. Second-century Christians were facing an ecclesiological transition as the church moved towards a more formal episcopal-style leadership structure. Second-century Christians were facing a serious doctrinal-theological transition as the debates over “heresy” and “orthodoxy” reached a fever pitch. Second-century Christians were facing a canonical-textual transition as they wrote books in great numbers and also began to recognize those books they regarded as Scripture. 4. The second century has much to teach the modern church. My research about what second-century Christians were like, and the opposition they received, made me see that there is much more in common between the second-century Church and the twenty-first century Church (at least in the Western world) than I originally thought. 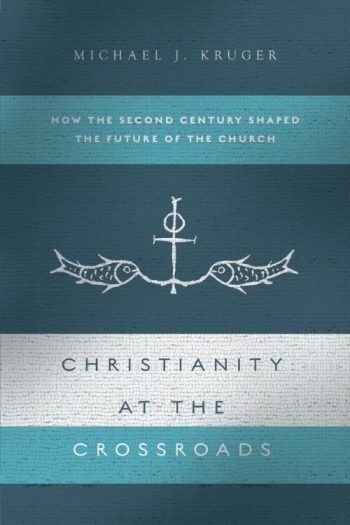 It is hard to miss the fact that Christianity in the modern Western world has lost considerable cultural influence over the last generation and is now facing ever-increasing social and legal pressures.While certainly not comparable to the pressures faced by second-century Christians, the modern Church is being seen more and more as a threat to the social stability of modern society – similar to the way the second-century Church was viewed by the Roman elites. And, at least in this way, there is much that the modern Church can learn from our second-century counterparts. If nothing else, we need to learn (again) what it means to be the Church when we lack social or political standing. And that is something that, sadly, has been largely forgotten. So, there is a quick overview of why I wrote the book and what I hope it accomplishes. I hope you will check it out when it is released this Summer! Great to see you in OKC last weekend and looking forward to your new book. Amazon still doesn’t show it on pre-buy though.. I am excited that you are writing about the Second Century AD of the Church. First, NONE of the Apostles were alive. If there was an issue that needed to be dealt with, then an Apostle was usually asked to solve it; or, as in the case of the Council of Jerusalem, as many of the Apostles able to attend could determine the outcome. Second, with the Apostles dead due to martyrdom (only John died a natural death), then we have the rise of the Pastor/Bishop/Elder as the authority in the Church. Third, it was the rise and authority of the pastor that Montanist Movement began. Fourth, the rise of Gnosticism really got going (although it began in the latter half of the First Century). Gnosticism really gave the Church trouble for the next couple of centuries. According to Plumber, the first commentary on the Gospel of John was written by the Gnostic, Valentinus (can’t find the source on this. I believe it is in a footnote on I John?) in the mid-Second Century. The Church is still dealing with this heresy in Neo-Gnosticism and the dualistic and docetic views of Gnosticism. Fifth, Marcion and his NT Canon, Gospel of Luke and the Apostolikon (10 epistles of Paul except the Pastorals) were heavily anti-semitic. Sixth, saw the rise of the Hermetic and Monastic movements in the latter half of the Second Century. Seventh, the ascent of the Apologists: Papias, Irenaeus, Ignatius, Tertullian, Clement of Alexandria. We are heavily in debt to these apologists. Eighth. the beginnings of the collecting of the NT Canon including reasons for such a collection. Why would you post this???? July seems so far away and I really can’t wait to read your next book! I may have to hibernate until then. It is called the “The Art of the Fishing.” Just enough to wet one’s appetite and your hooked and reeled in. I can’t help but notice that Amazon says this came out in October of 2016. Odd. Saw your recent appearance on Ratio Christi’s “Truth Matters” in which you described the two current camps of textual criticism: 1) the historic/traditional camp, which says textual criticism allows us to know, generally speaking, what the original NT documents said, and 2) the skeptical camp, including Bart Ehrman, which says that textual criticism cannot tell us what the original NT documents said. It seems to me that the skeptical camp has staked out an intellectually indefensible position. I say this for two independent reasons, either one of which is fatal to them: 1) They’ve pulled the textual criticism rug out from under their text critical opinion; how can they opine as experts if they claim their expertise does not allow them to know the subject studied? and 2) They have to embrace some sort of conspiracy theory to maintain their skepticism, else they cannot explain why all the existing NT manuscripts say, generally speaking, the same thing. I was wondering if you were going to review Rob Bell’s new book called “What is the Bible?”. Thank you. Please, let us know when your book will be available at Amazon.